If you have been victimized by a current or former spouse, the IRS offers you the opportunity to ask for innocent spouse relief. Top Tax Defenders has 27 years of experience working with IRS to know how to present the application and proof required to support the innocent spouse relief application. Top Tax Defenders knows that factors such as divorce or separation from your spouse or your spouse’s abandonment of you can help establish that it would be unfair for you to be held responsible for the understated tax and any penalties or interest. Top Tax Defenders team of experts will use their knowledge of innocent spouse relief guidelines to help you prepare your presentation of the facts and circumstances in support of your request for relief and your lack of knowledge of the actions of your spouse concerning the joint tax return. Contact us today by calling 1-866-866-1555 to find out if you qualify. 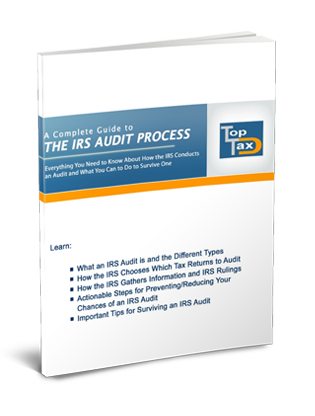 Everything you need to know about the IRS audit process.